Growing up as a highly sensitive person (HSP), I often felt flawed, inferior, and overwhelmed. I was told I was too sensitive and quiet, that I should speak up more, and make more friends. Like many HSPs, I was anxious at school because of the overstimulating noise, bright fluorescent lights, crowded hallways, and pressure to be like everyone else. I was deeply affected by anything even remotely sad – movies, books, or news stories about suffering – and I didn’t feel like I fit in. Without realizing it, I used perfectionism as a way to cope with my high sensitivity and low self-esteem – but it only made things worse. Let’s take a look at why some HSPs are prone to perfectionism, plus I’ll share five tips to help you tame it. Why Are Highly Sensitive People Prone to Perfectionism? Perfectionists and HSPs share many of the same traits. We tend to be conscientious, detail-oriented, and organized. While these traits can give us an edge in many situations, when they get out of control, they can harm us. It can lead to us worrying quite a bit about what others think of us, being very sensitive to criticism, and going to extremes to avoid being in situations where we might fail, look foolish, or have to try something new. We may want things to be predictable and have difficulty adapting to unexpected changes. Criticism can be especially painful for HSPs, who are wired to process and feel things deeply. 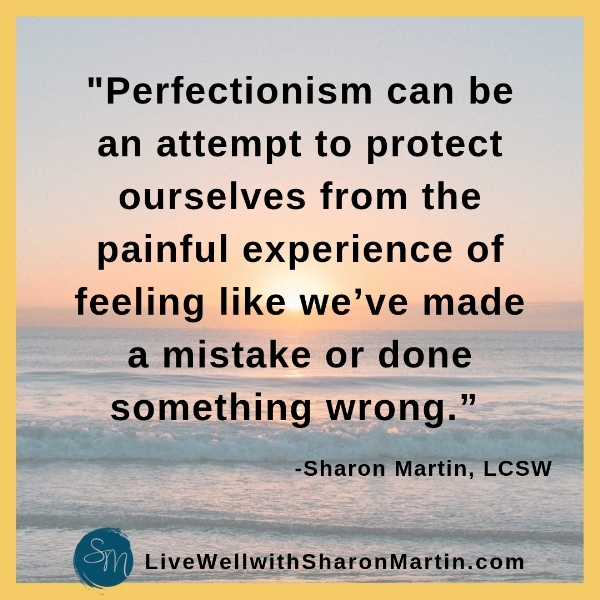 Perfectionism can be an attempt to protect ourselves from the painful experience of feeling like we’ve made a mistake or done something wrong. We may think if we can do everything right, we’ll be able to avoid criticism and unwanted attention. So, we set impossibly high standards for ourselves, expecting ourselves and our work to be perfect. We work incessantly and feel compelled to fix even the smallest of errors and imperfections. Like me, many HSPs grew up feeling different and “less than” due to our heightened sensitivity. Perhaps you were teased or told you needed to toughen up, that you were too sensitive or cried too much. Unfortunately, HSPs often get that message that their sensitivity is a deficiency or flaw, rather than the asset that it truly is. And as a result, we often feel inferior and “different.” So we pour ourselves into work and achievements to prove our worthiness. Achievements become a way for us to fit in and be accepted. Underneath perfectionist thoughts and behaviors, there’s usually fear and anxiety — fear of failure, rejection, embarrassment, not being good enough, and so on. Often, these fears aren’t even conscious, but they can add to our feelings of overwhelm and anxiety. And those predisposed to perfectionism may respond by trying to control everything, wanting it to be perfect, and only seeing one “right” way to do things. HSP or not, we may become rigid and controlling because we feel anxious and overwhelmed. Perfectionism may be an attempt to deal with feeling different, inadequate, and anxious, but it doesn’t work well for most of us — myself included! Perfectionism adds a tremendous amount of pressure. It’s exhausting and sometimes debilitating, getting in the way of starting or completing tasks. It can also diminish our self-esteem and damage our relationships. When we have unrealistic expectations for ourselves and others, we’re bound to be disappointed. No matter how hard we work, we can’t live up to our own impossibly high standards and neither can others. Often, we respond with criticism — we berate ourselves and others for not doing things perfectly. And when we derive our self-worth from our accomplishments, we constantly have to achieve more and more, pushing ourselves to exhaustion and burnout. There’s no room for errors or flaws and no compassion for mistakes and imperfections. We may think we have to earn our worth, which means we’re always chasing external validation and never feeling good enough because we’ve set an impossible standard for ourselves. We also tend to “play it safe” by sticking to things we excel at to protect ourselves from potential criticism and failure. And while perfectionism can temporarily shield us from criticism and disapproval, it’s a stifling box to live in. 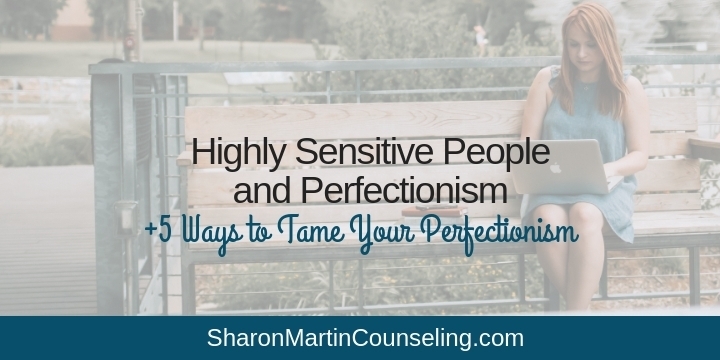 Ultimately, perfectionism exacerbates rather than solves our challenges as sensitive people. Perfectionism leaves us exhausted, overwhelmed, and feeling worse about ourselves, but we can moderate our perfectionist thoughts and behaviors so they work for us, not against our sensitive selves. Here’s how. View your sensitivity as a strength. Your sensitivity may make you different than the majority of people, but that doesn’t make you less than anyone else. Learning to embrace the positive aspects of high sensitivity, such as empathy, creativity, and deep thinking, can improve your sense of self-worth and help you rely less on external validation and achievement to feel good about yourself. Practice tolerating criticism. Criticism is a normal part of life, and try as we might, we simply can’t avoid it. To build up a tolerance for it, you can ask a trusted friend or family member to give you gentle criticism or feedback. With practice, the sting of criticism will lessen, and you’ll learn how to disregard criticism that’s mean or inaccurate and make use of constructive feedback without thinking less of yourself. Reframe mistakes as opportunities rather than failures. Everybody makes mistakes and experiences disappointment when things don’t go as planned. We can choose to see these as failures or we can see them as learning opportunities — precious times to learn and grow, and evidence that we’re taking chances and stretching beyond our comfort zones! A growth mindset, such as this, is a healthier and happier way to approach mistakes and failures. Slow down. As you know, we HSPs need more downtime, more time to transition from one thing to the next, and more time alone than most people. Making time for rest and refueling means we have to slow down, do less, and do things imperfectly. It’s hard to accept that we can’t do it all and do it perfectly, but slowing down improves the quality of our lives. Our mental health, physical health, and relationships all benefit when we set realistic expectations and take good care of ourselves. Treat yourself with compassion. Self-criticism can be a bad habit, something we’ve grown accustomed to, but it’s rarely helpful. It doesn’t tend to motivate us to do better, but rather it makes us feel hopeless and inept. Research shows that self-compassion, or being kind to yourself when you’re struggling, is associated with reduced stress, increased resilience, and the ability to cope with failure and criticism. To start practicing self-compassion, you can try comforting yourself with kind words or a loving touch, as you would a dear friend. Unwinding perfectionist tendencies isn’t easy, but with small, consistent steps, it is possible to become more flexible, accepting, and self-compassionate. 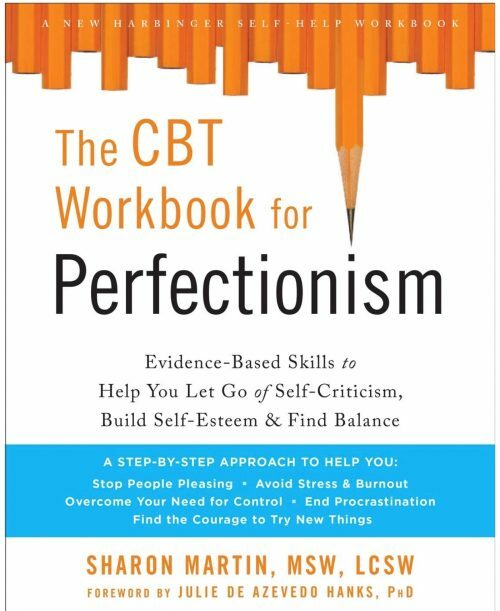 If you’d like to learn more, my new book The CBT Workbook for Perfectionism: Evidence-Based Skills to Help You Let Go of Self-Criticism, Build Self-Esteem, and Find Balance (affiliate link) is full of concrete exercises to help you overcome perfectionism, and learn to love your imperfect, sensitive self. Originally published on Highly Sensitive Refuge. 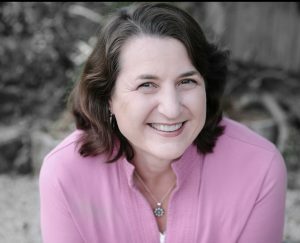 Sharon Martin, a licensed counselor and therapist in San Jose, specializes in helping you decrease stress and anxiety in order to create a peaceful and balanced life. With 20 years of experience, Sharon has helped hundreds of men and women overcome codependency, perfectionism, and self-criticism so they can embrace their authentic selves and build happy, healthy relationships. She has a private psychotherapy practice in Campbell where she is available for in-person short and long-term counseling. Sharon is also the author of Setting Boundaries Without Guilt: A Workbook to Move You From Doormat to Empowerment. This site is for informational purposes only. It isn't intended to diagnose or treat any mental health problems and is not intended as psychological advice. Some pages contain affiliate links meaning that I receive a small commission when you purchase through the link. Please read the complete Terms and Conditions. What is an Anxious Attachment Style? What is an Avoidant Attachment Style? This site is for informational purposes only. It isn't intended to diagnose or treat any mental health problems and is not intended as psychological advice.